After trying to help Benjamin Pearl, an undernourished, nearly feral 11-year-old boy living in the Montana wilderness, social worker Pete Snow comes face-to-face with the boy's profoundly disturbed father, Jeremiah. With courage and caution, Pete slowly earns a measure of trust from this paranoid survivalist itching for a final conflict that will signal the coming End Times. But as Pete's own family spins out of control, Pearl's activities spark the full-blown interest of the FBI, putting Pete at the center of a massive manhunt from which no one will emerge unscathed. Rodeo Grace Garnet lives alone, save for his old dog, in a remote corner of Arizona known to locals as the Hole. He doesn't get many visitors, but a body found near his home has drawn police attention to his front door. The victim is not one of the many illegal immigrants who risk their lives to cross the border just south of the Hole, but is instead a member of one of the local Indian tribes. Wow!! Please give this book a chance to knock you off your feet! Eilis Lacey has come of age in small-town Ireland in the hard years following World War Two. 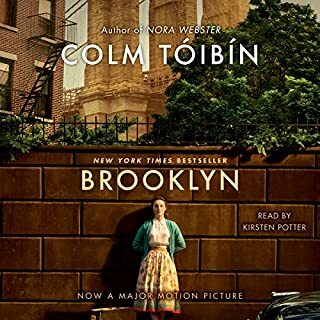 When an Irish priest from Brooklyn offers to sponsor Eilis in America, she decides she must go, leaving her fragile mother and her charismatic sister behind. Eilis finds work in a department store on Fulton Street and, when she least expects it, finds love. Tony, who loves the Dodgers and his big Italian family, slowly wins her over with patient charm. Portia Cuthcart never intended to leave Texas. Her dream was to run the Glass Kitchen restaurant her grandmother built decades ago. 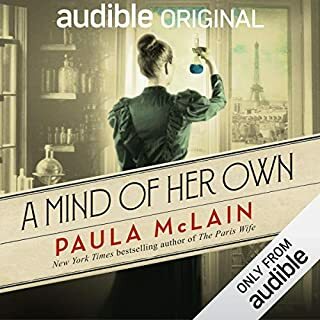 But after a string of betrayals and the loss of her legacy, Portia is determined to start a new life with her sisters in Manhattan... and never cook again. 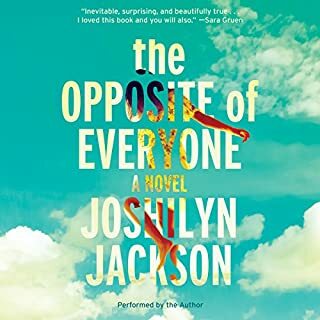 But when she moves into a dilapidated brownstone on the Upper West Side, she meets 12-year-old Ariel and her widowed father Gabriel, a man with his hands full trying to raise two daughters on his own. I was pulled right in from the start! At the turn of the 20th century, in a rural stretch of the Pacific Northwest, a reclusive orchardist, William Talmadge, tends to apples and apricots as if they were loved ones. A gentle man, he's found solace in the sweetness of the fruit he grows and the quiet, beating heart of the land he cultivates. One day, two teenage girls appear and steal his fruit from the market; they later return to the outskirts of his orchard to see the man who gave them no chase. Feral, scared, and very pregnant, the girls take up on Talmadge's land and indulge in his deep reservoir of compassion. Just as the girls begin to trust him, men arrive in the orchard with guns, and the shattering tragedy that follows will set Talmadge on an irrevocable course not only to save and protect but also to reconcile the ghosts of his own troubled past. Transcribing America as it once was before railways and roads connected its corners, Amanda Coplin weaves a tapestry of solitary souls who come together in the wake of unspeakable cruelty and misfortune. 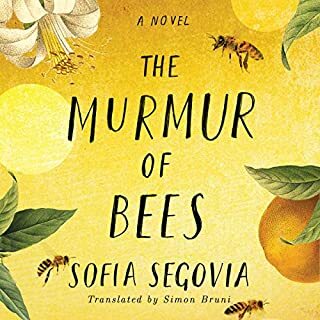 She writes with breathtaking precision and empathy, and in The Orchardist she crafts an astonishing debut novel about a man who disrupts the lonely harmony of an ordered life when he opens his heart and lets the world in. ©2012 Amanda Coplin (P)2012 HarperCollins Publishers Ltd.
Beautiful, rich, sweeping tale, not a fairy tale. If you are able to get lost in a story, sink into the lull and cadence of Mark Bamhall's voice , you will love this story. I listen to books constantly and often think the narrator tells the story far better than any 'voice inside my head' and this is yet another example. This is my first listen to Bramhall and I will look for his others. I found the story refreshingly ambiguous regarding the darker aspects of human nature. 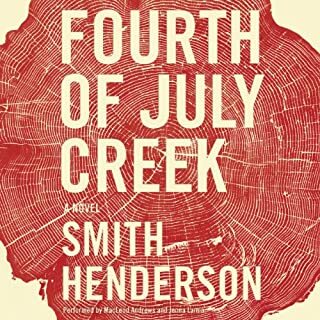 If you enjoy the likes of Faulkner or Steinbeck, or Norman Maclean, you will love this one. Bravo Amanda Coplin, your sentences are poetry and your characters memorable. I haven't read anything nearly as elegant or absorbing since David Guterson's Snow Falling on Cedars. An impressive first novel, compassionately written, and thankfully bereft of the modern temptation of wrapping up perfectly to make sure everyone gets what they deserve. Spoiler alert - my favorite movie of all time was "Moonstruck." And it was so because of lines like this told by a crotchety old man in a very awkward moment. I'm a shmuck for characters and stories like this. No apologies. But I also tread fearlessly into the darker narratives in life (Hell, I'm a military psychologist!) and this book was almost unbearable towards the end. I kept hoping for some denouement; some event or epiphany that would make the suffering and plodding despair worth the hours of listening. Didn't happen. Give us something to ponder, to hold in our hearts, to be rocked off course by. Don't just keep putting heavier rocks in the backpack. OK, Ok, OK. The setting was starkly gorgeous; the storyline complex and compelling. But the lives of almost every single character in this too long saga were about human ugliness, loss, disconnection, alienation, failures, and final yielding to the detached hopelessness of it all. For crying out loud, the only poignancy we were offerred was in the form of a final trite image of whatever life lies beyond because we sure weren't getting any in this life from Ms. Coplin. NOBODY who isn't John Irving (actually my favorite author) should write a book with this depth of unrelieved despair. Still missing the main character! This is a lovely book - one to savor and enjoy. Some might respond to its the slow way the story is revealed but I loved it and fell in love with the main character. The story is excellent and unusual, the setting very accessible and the characters are well drawn and exceptional. There are some places where you can tell this is a first novel, but those places are not in the least way distracting - more charming. This is an author to watch. The strength of this story is the sparse, unsentimental narrative, unadorned by adjectives, contrived dialogue, or flowery prose. It moves at a slow deliberate pace, not always in a linear direction, sometimes repeating scenes from different characters' points of view. In this way we come to understand the inner thoughts of each and see how they can be fully committed to each other without fully understanding each other. The first half of the book covers many years, switching back and forth between characters and locations, reviewed with little detail, almost as though someone was going through a box of old photographs and explaining what was happening when each was taken, patching together a lifetime of memories without really explaining the life. Remarkably, it is effective in developing the characters and getting to the second half of the book in which the normal routines of life in the orchard are disrupted when history rears its head and must be dealt with. Mark Bramhall's reading makes this story remarkable. Because there is little dialogue, he does not have to create vastly different voices. But through subtle changes in tone, pacing and inflection each character does have individual voice. Talmadge in particular becomes palpably real through Bramhall's slow rough voice. This is an Audible book that is truly best listened to. What disappointed you about The Orchardist? This seemed to start out so well. At the beginning, it was interesting and a lot happened. But it bogged down and by the end I was hoping for something - anything - to happen. So many words! Over and over again. And the use of pronouns, redundantly explained by nouns - if I, the reader, hadn't spent a lot of money for this, the book, read by the narrater who did his best, Mark Bramhall, I, the reader might have given it, the book, up. 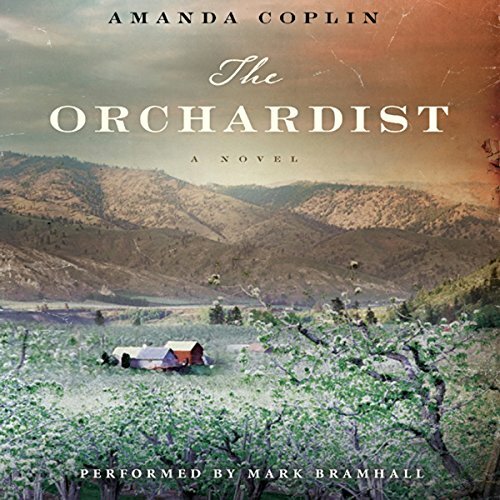 What did you like best about The Orchardist? What did you like least? sad, dwindling away to nothing. I would recommend this listen with a few caveats. 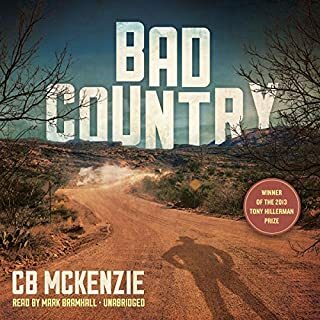 I thought this book started out very well - I was extremely interested in the characters and the story line, and at one point even gasped out loud as a plot point was revealed. But after that point - about 1/3 of the way thru, the story itself seemed to run out of gas, as if the author had come to the climax of the story too early. Then I began to get frustrated with some of the characters, who fell into predictable patterns - Talmadge was always "confused; Della always "didn't understand," Angeline was always "quiet" and "watching." It got somewhat boring, always knowing how the characters would act and react. That said, I loved the writing which was very moving and poetic. And the narrator was superb, really involved with the emotional lives of the characters without being overly dramatic. I would love to read Coplin's next work as I think she shows great promise as a writer. She just had a bit of difficulty with this first effort. I enjoyed the description of the late 1800's in the Northwest US. The plot moved slowly for most of the book, but the characters pull you in. I really didn't want the story to end. At their best, audiobooks are not just the convenience of listening while doing other things. Or even the enjoyment having a story told. Rather, the narration takes one so much deeper into the experience than if one read the book oneself. That is the case with this recording of The Orchardist. Had I read this book, I would have raced through parts to see what happens next. Instead, I experienced it as the events unfolded, paying attention to every detail. Sometimes, I had to stop listening for a while, because it felt so real. Had I read it myself, the voiice in my head would have been too thin and superficial. The narrator's voice is ideal for the characters, and somehow evoked the era in which the events occurred. A powerful story about pain and commitment, good people doing their best. Overall story, narration and production are just excellent. Several characters with limited, deprived childhoods come together as chosen family, and it’s beautifully described. I’ve been an Audible member for close to 15 years at 2 books per month and this goes into my top ten list.